Vincent lives in Derry, Northern Ireland, where he usually guides tourists through some of the areas most hit by the Troubles. Although his activity immerses him in the history of the armed conflict that for three decades saw Catholics and Protestants opposed against each other, he has been optimistic that in recent years the two communities have taken important steps towards reconciliation. With a smile, the republican confides: „I have three daughters and all three are married to Protestants“. This week Northern Ireland is celebrating the 20th anniversary of the Good Friday Agreement. It was on the 10th of April 1998 that the historic multi-party deal between Irish and British forces put an end to the violent clash that killed 3,500 people and injured more than 20,000. However, despite the advances reached between both communities in the past 20 years, Brexit is now calling into question many of the achievements. Two years after the vote that decided the withdrawal of the United Kingdom from the European Union, the possibility of the return of a hard border along the 500 kilometres that separates the North and the South of Ireland is generating anxiety among communities still struggling to overcome ghosts of a bloody past. They fear the return of violence to a territory where wounds remain open. 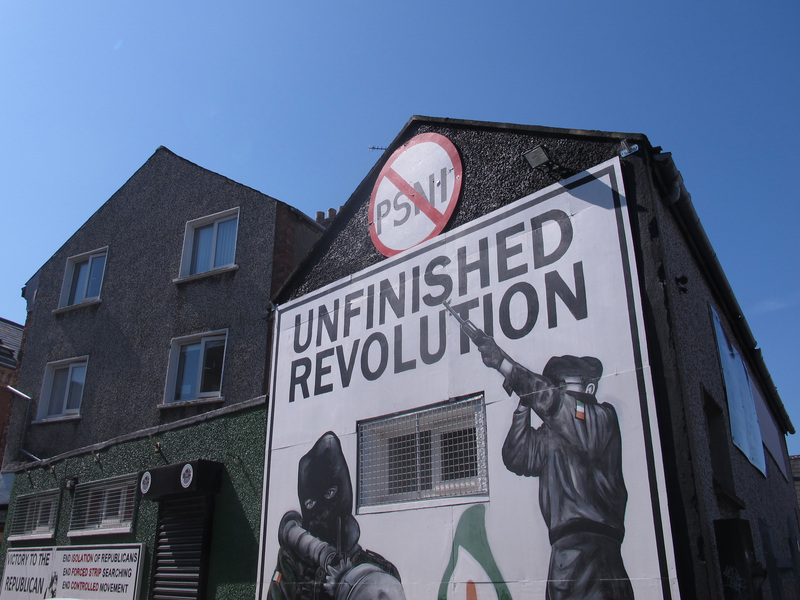 Today, residents of cities such as Belfast or Derry live peacefully, but the violent past is still alive in people’s memory and the polarisation remains stark. The so-called „peace walls“ erected to protect the population from sectarian violence continues to divide Catholic and Protestant communities in Belfast, while children still attend a system of education characterised by religious segregation. That is why today, when we celebrate the progress brought by the historic agreement reached 20 years ago, it is important to keep peace at the top of the agenda.